Sybarite5’s “rock star status…is well deserved” (Sarasota Herald-Tribune). From the moment their bows hit the strings, this quintet of diverse musicians takes the audience on an exciting ride that redefines the rules. Dubbed the “Millennial Kronos,” Sybarite5’s eclectic repertoire from Bowie to Radiohead and Akiho to Assad, combined with its commanding performance style, is turning heads throughout the music world. 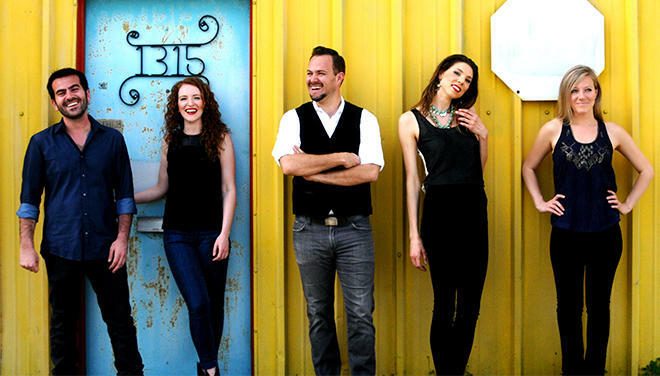 The quintet’s debut album, Disturb the Silence, quickly reached the top 10 on the Billboard charts, and their live performances will “satisfy your inner rock star and your secret Mozart" (Arizona Daily Star). At the heart of the Peace Center’s mission is a commitment to bringing people together to experience the highest quality artistic performances. The 2018-2019 Peace Chamber program offers a world-class chamber music concert series and invites audiences to dive deeper through FREE Musical Happy Hours, Chamber Peace Talks and master classes with visiting artists. Now in its third year, Peace Chamber welcomes a new artist-in-residence, Dr. Igor Begelman. Begelman will serve as a musical guide to the season, helping audiences explore the five concerts in the series and expanding the knowledge of curious music-lovers and chamber music enthusiasts alike. In addition to the programs open to the public, Begelman will work with student music groups and visit schools to engage students and educators in music education programs. The 2018-2019 Peace Chamber concert series welcomes musicians from around the world for unforgettable, intimate chamber performances in the Gunter Theatre.